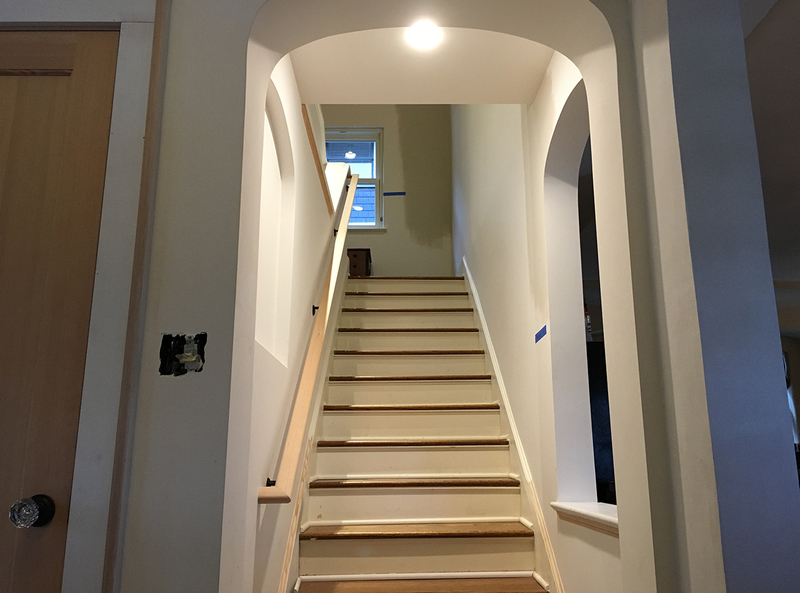 Although this project was part of a larger remodel, it was actually a project in and of itself. 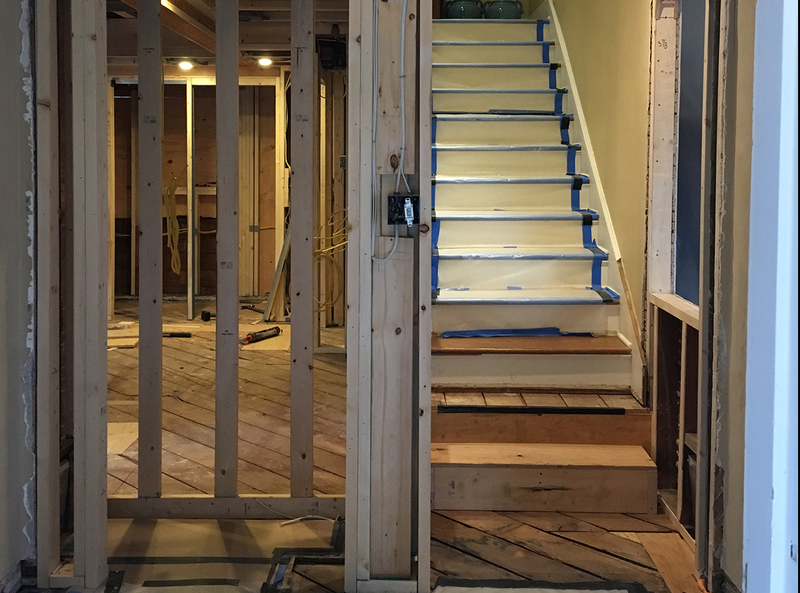 The stairs originally took a 90- degree turn and entered into a hallway. 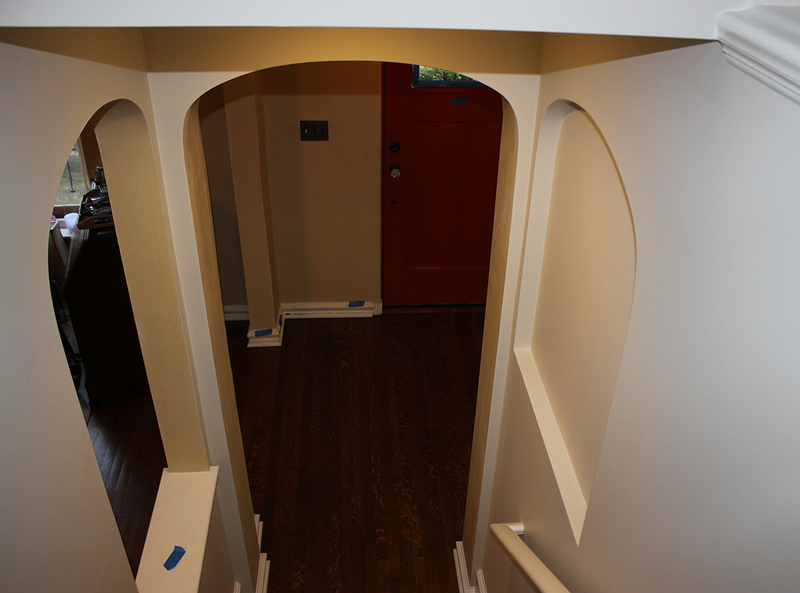 As you can see in the finished pics, they now come more naturally into the home’s entry. 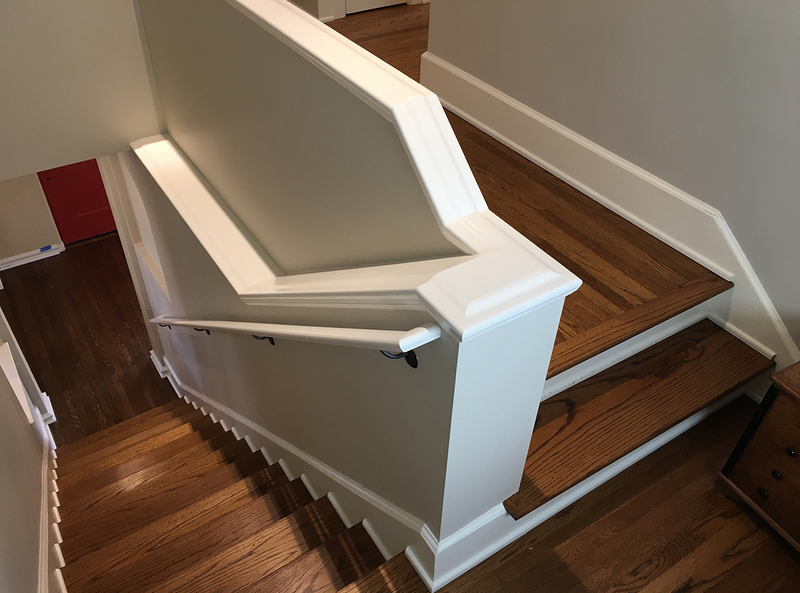 The original stairs were very cumbersome. 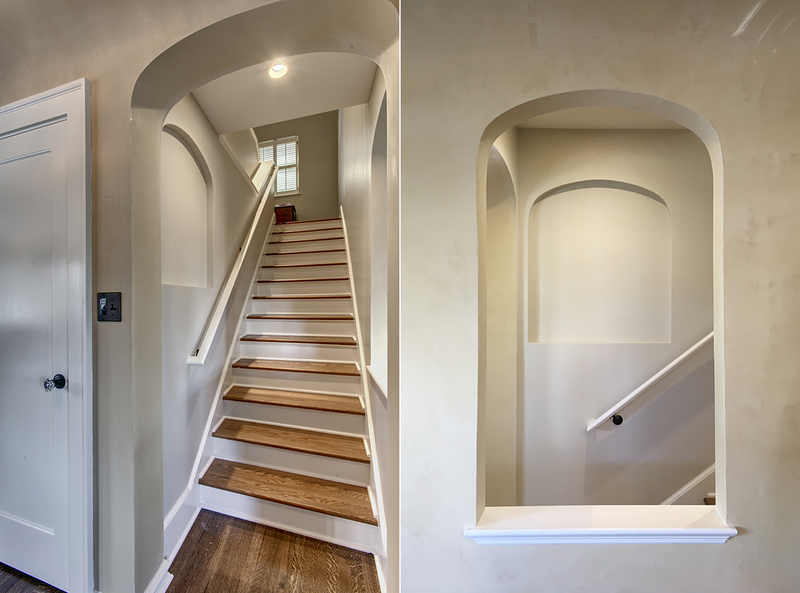 The owner wanted to maintain the arch look and open up the stairs through the living room. 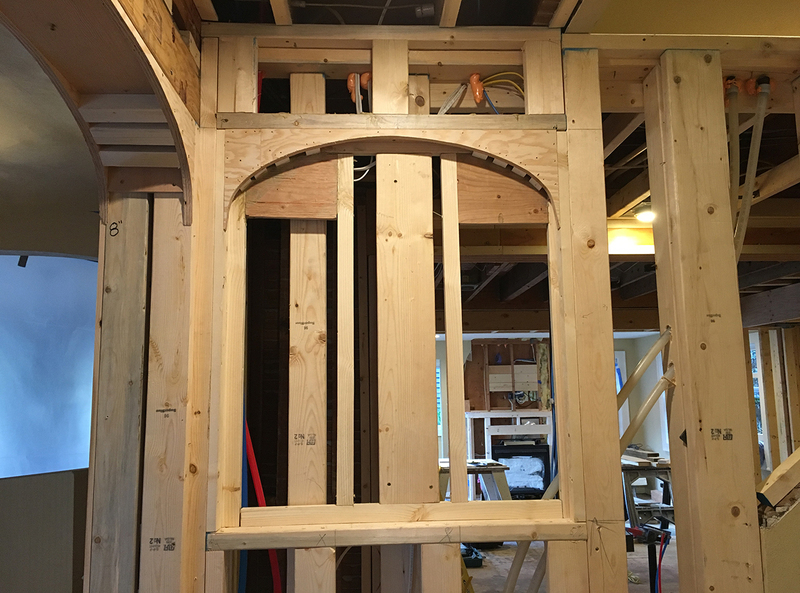 They also decided to do a recessed art nook with an arch top as well so we surgically demolished and reframed the walls with arches and reframed the stairs to straighten them out. 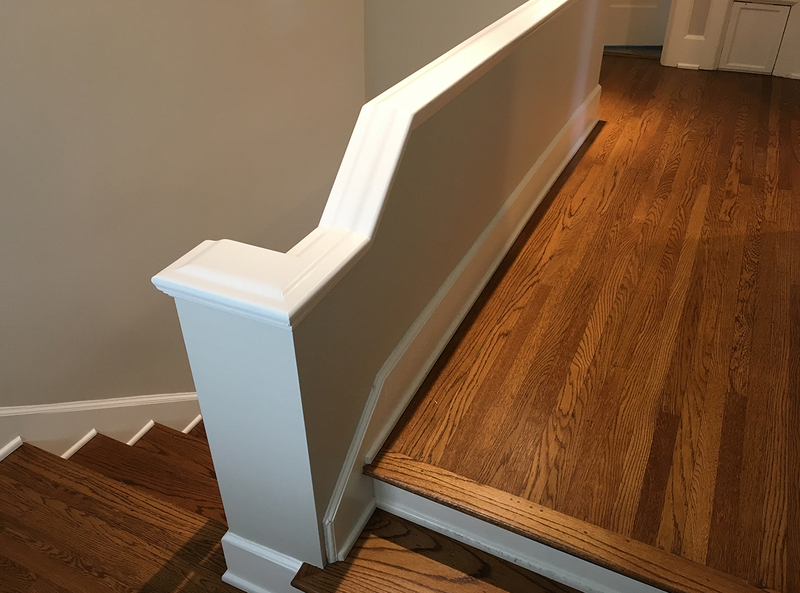 The wall railing cap at the top of the stairs was done by modifying the existing millwork in the shop to get the proper size stock needed. 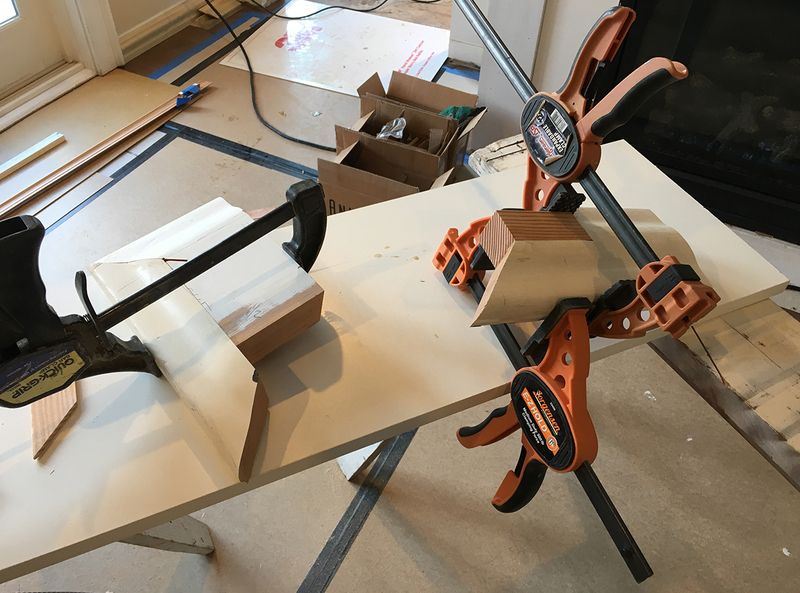 I then glued up the complicated transition at the landing turn. 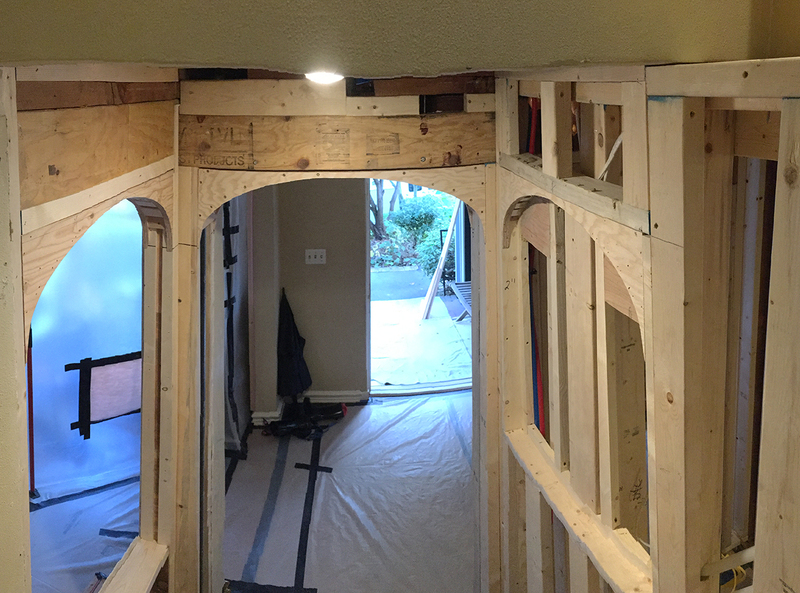 If this was a stain grade project, I would have taken a different approach. 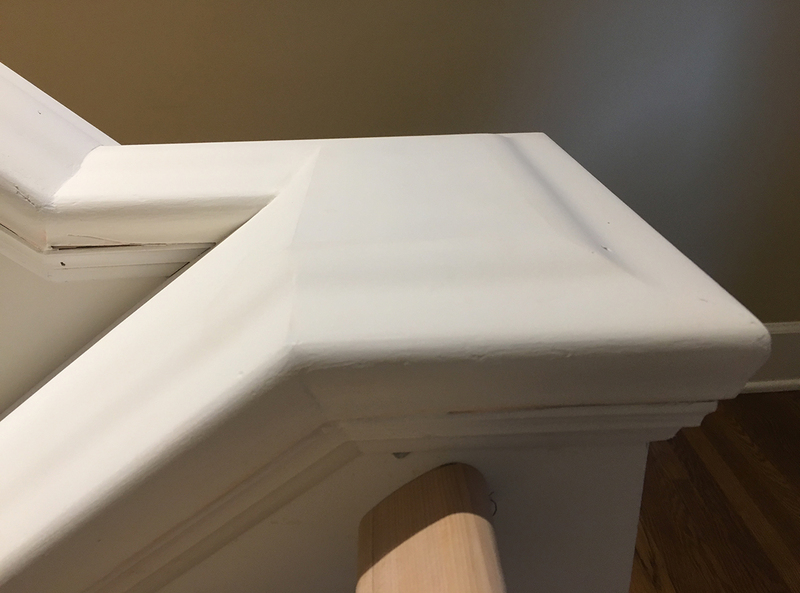 With paint grade, it’s a little easier. 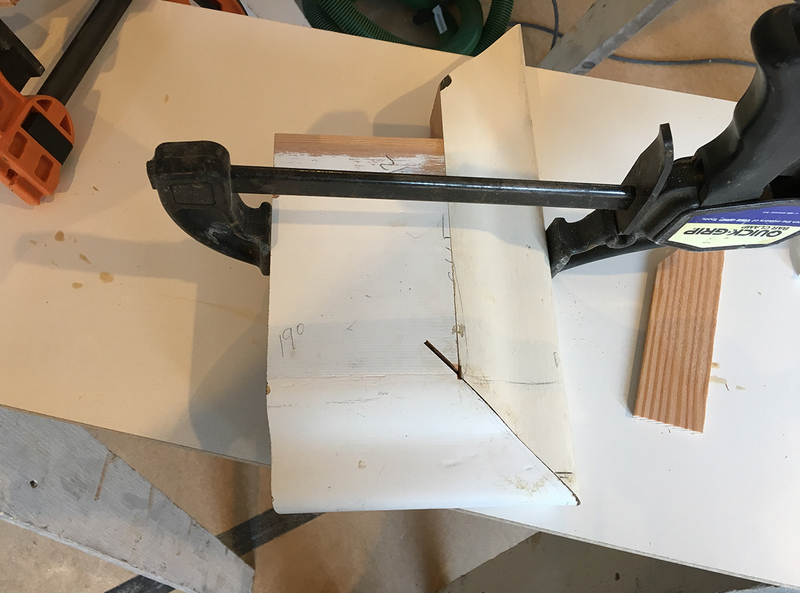 Still somewhat complicated, but easier. I love the way everything turned out! 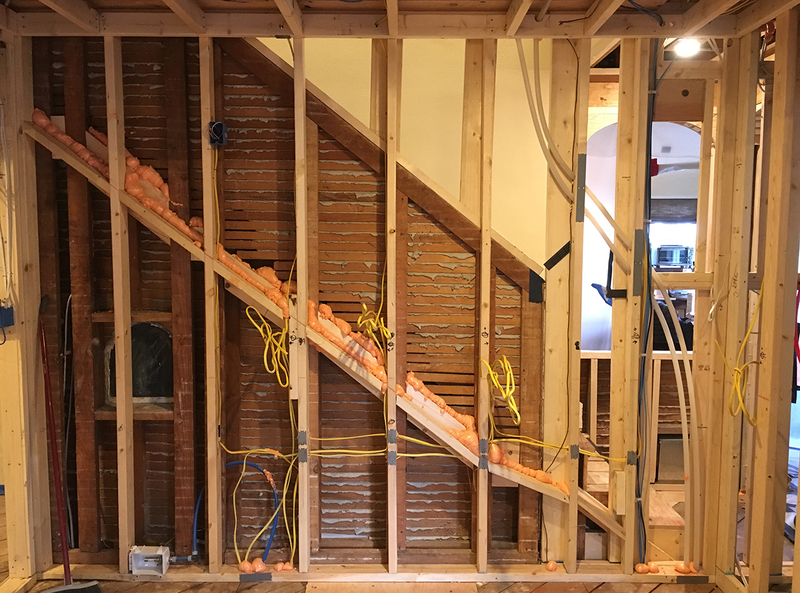 It’s as if it was part of the original home!